The Labour Day is celebrated in order to honor the contribution of working men and women. It is observed on the first day of the month of May. 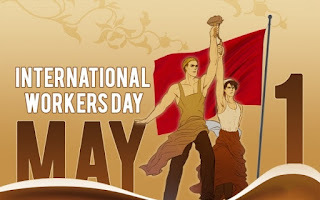 Labour Day in India or May Day was first celebrated in Chennai (then known as Madras) on May 1, 1923. The initiative was taken by the Labour Kisan Party of Hindustan. The Labour Day is a special occasion when people worldwide celebrate the true spirit of the working class. It's the day when workers get together and showcase their strength which indicates how effectively they can struggle to bring in positive reforms for the working class of the society. It is celebrated to finish the struggle as well as to promote the requirement of eight-hour work day. Today, on Labour Day PLN9 team salute the determination & hardwork of countless workers who play a big role in India's progress.